Located within North County’s newest premier community, Lucero at Pacific Ridge Rancho del Oro will be comprised of 130 upscale townhomes. 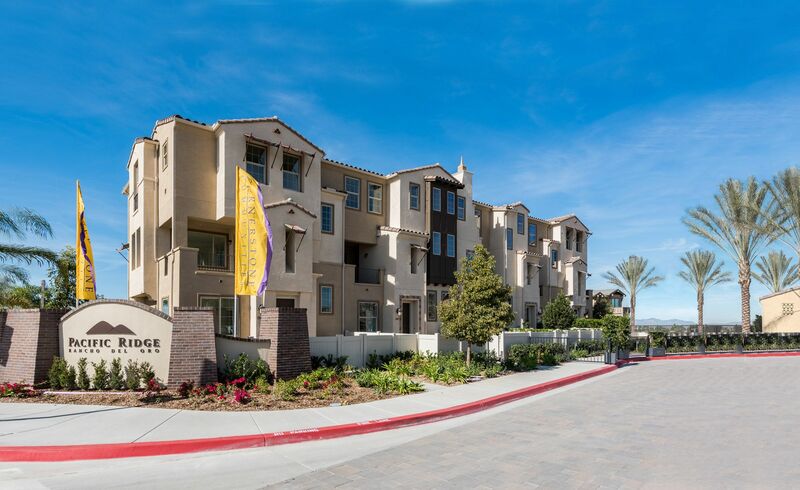 The gorgeous three-story residences at Lucero offer rich exteriors full of familiar yet fresh details. All homes offer 3 or 4 bedrooms, up to 3.5 baths, a two-car side-by-side garage, and a private entry courtyard for indoor/outdoor living. Pacific Ridge will be a gated community perched atop the crest of Rancho del Oro. Discover the serene picturesque views of the surrounding coastal hills and feel the soothing ocean breezes that will welcome you home to Pacific Ridge.